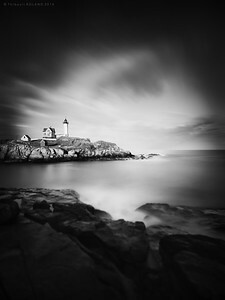 I developed these images with the purpose to create a sense of atmosphere, depth and presence. 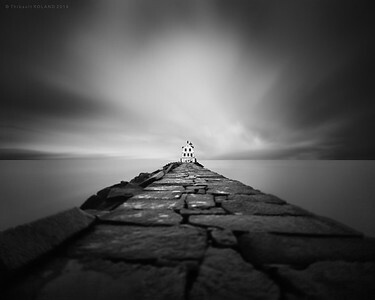 I wanted to share powerful images that blur the line between land, sea, time and space. 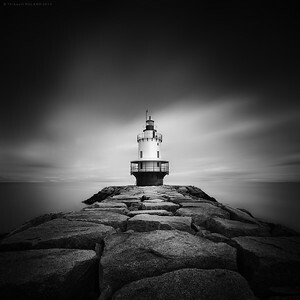 Lighthouses are beacons to those at sea and outposts that separate solid land from the ever changing and menacing sea. They evoke relief, stability and safety. Photographing these iconic structures with the long exposure technique, I want to magnify both the purpose and power of these structures. 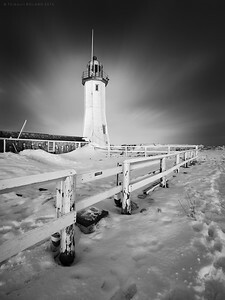 By introducing tilt, therefore blur, in my imagery my goal is to deepen the relationship of the lighthouses with their surroundings and the men and women that depend on them to return home safely: they stay strong, clear and sharp while surrounded by a blurred, pictorial earth which shows the danger that surround them and the passage of time at sea. 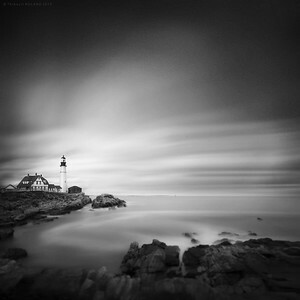 Portland Head Lighthouse, Portland Maine, USA 2014. 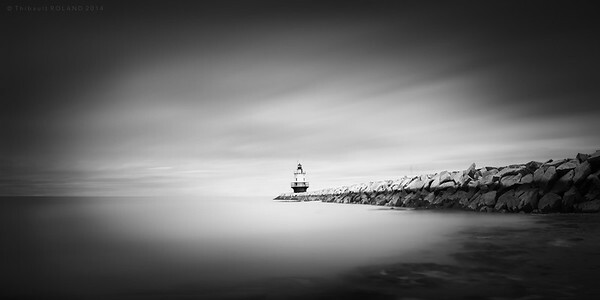 Bug Light Break Water, Portland Maine, USA 2014. Pigeon Point - Standing Proud. Study #1 of Pigeon Point, Pescadero, California, USA 2014. 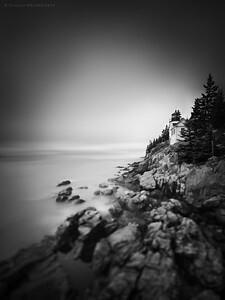 Pemaquid Point Lighthouse, Maine, USA 2014. Spring Point Ledge - The wall. 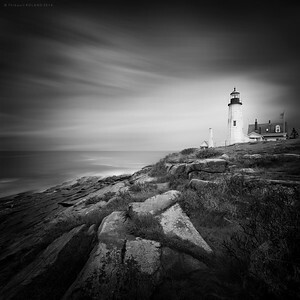 Study #1 of Portland Break Water, Portland Maine, USA 2014. Point Bonita Lighthouse - The Arch. 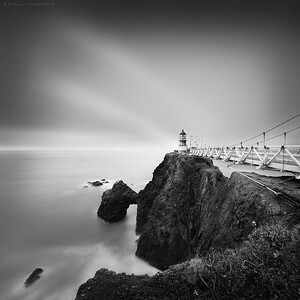 Study #1 of Point Bonita, San Francisco, California, USA 2014. 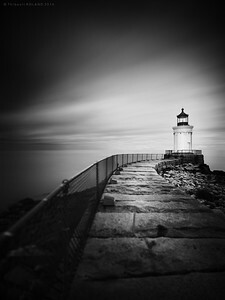 Spring Point Ledge Lighthouse - The path. Study #2 of Portland Break Water, Portland Maine, USA 2014. 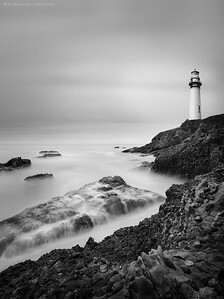 Pigeon Point Lighthouse - Overseeing. Study #3 of Pigeon Point, Pescadero, California, USA 2014. 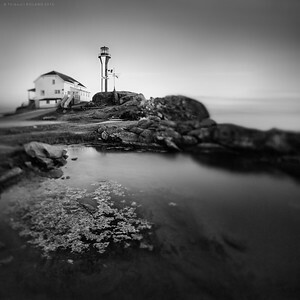 Grand Manan, New Brunswick, Canada 2015. 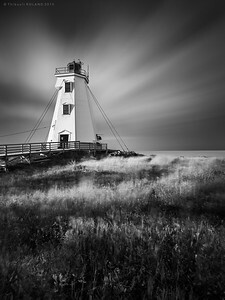 Yarmouth, Nova Scotia, Canada 2015.